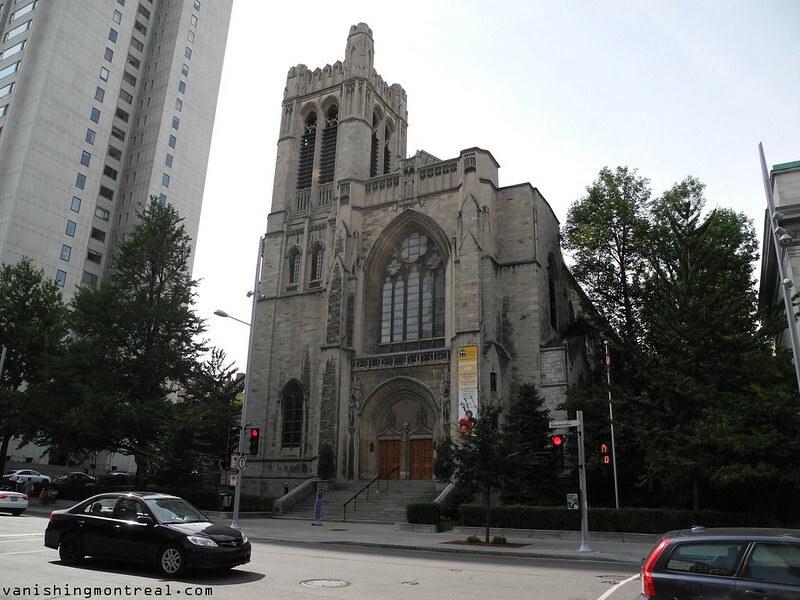 The church of St-Andrew and Saint-Paul on the corner of Sherbrooke and Redpath. L'église St-Andrew et Saint-Paul, à l'angle des rues Sherbrooke et Redpath. The church and many of the surrounding buildings are amazing examples of great architecture. Just a shame they built that obnoxious concrete bunker right a cross the street.